A poetic portrayal of words unspoken and unseen tempests, Silent Squall gives voice to the wounded heart. Raw and honest, the acclaimed author of I Find You in the Darkness shares her intensely personal, yet relatable stories through finely woven poetry. 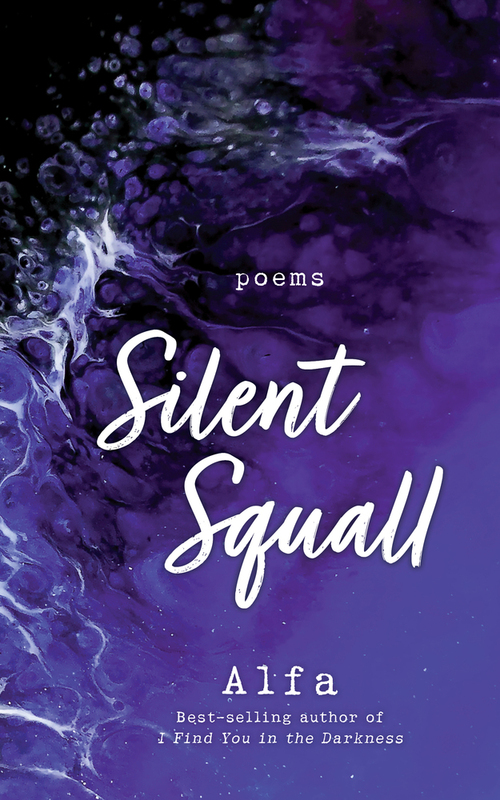 This new edition of Silent Squall includes an updated introduction and a brand-new chapter of modern poetry. Find understanding, comfort, and hope from the affecting poetry of Silent Squall. by flames of your dismissal. ALFA is a retired medical professional who has spent most of her career in Radiation Therapy. She credits her ability to express painful life experiences by studying the human body from the inside out. Unapologetic about her realistic take on heartache, she writes to let her readers know they are not alone in their pain. Alfa is the author of several books of poetry, including I Find You in the Darkness, Amid Thirsty Vines, and Abandoned Breaths. Follow her on Instagram.